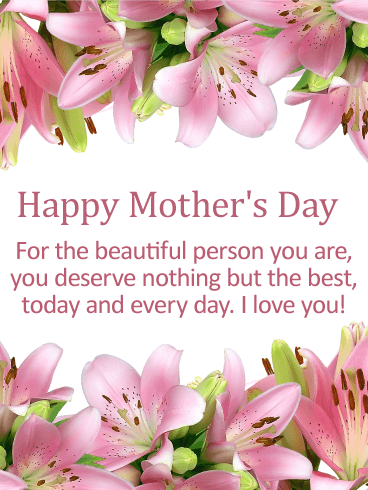 HAPPY Mother's Day - To my amazing mother, I hope you have a day that is as special as you are. You deserve it! Love you, mom. This Mother's Day card is absolutely stunning! A daughter should send the very best to her mother on Mother's Day, and it doesn't get any better than this. It features a fabulous sparkling glass heart surrounded by artistic colorful swirls and patterns. 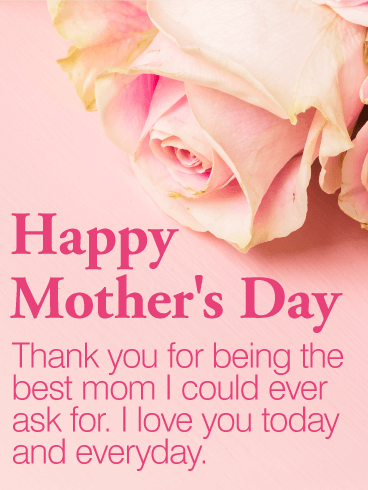 Tell your mom that she is beautiful on Mother's Day, it will touch her heart and make her feel special, which is what every daughter would hope for! 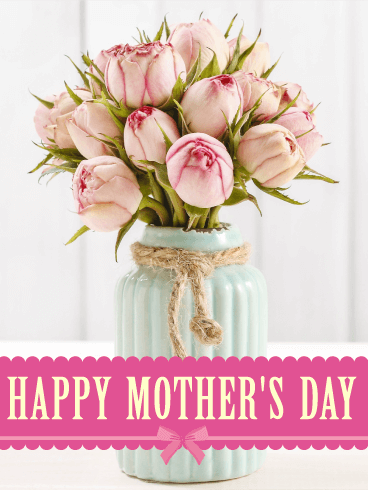 This spectacular Happy Mother's Day card will be sure to impress any mother! 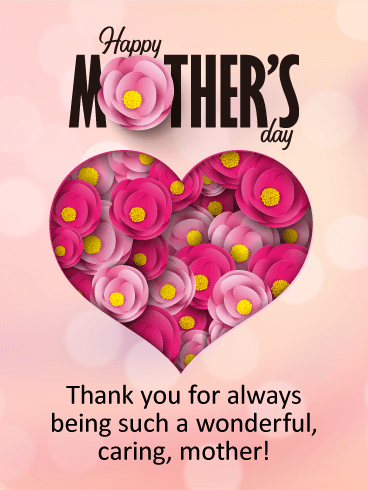 If you are a daughter looking for a fabulous way to thank your mother on this special day, then this is the Mother's Day card to send! It features a beautiful image of the word MOM with pretty red flowers and hearts filled with light! 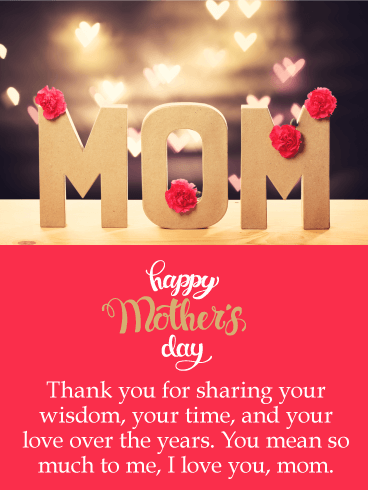 The message thanks your mother for sharing her wisdom, time and love over the years, things that mean so much! If your mother loves kittens then she is going to adore this Mother's Day card! The kitten resting next to the beautiful orange flower will certainly make her smile. 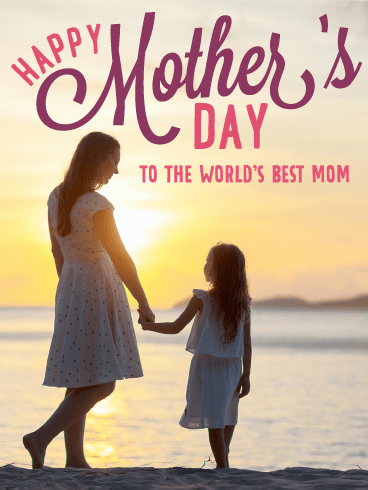 As her daughter, you want to make sure you send a Mother's Day card that will let her know you feel she is the best mom! So send this kitten on his way to get this message out to your mom on Mother's Day! Beautiful flowers inside a heart, very creative and beautiful. 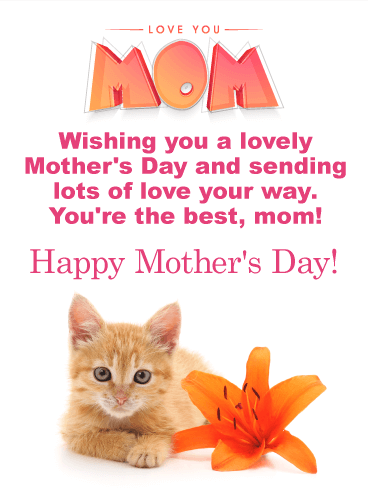 It makes for a nice Mother's Day card that can be sent by you, her thoughtful daughter! 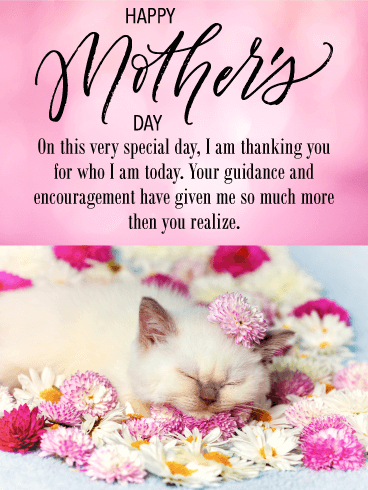 This pretty Mother's Day card also features a heartwarming message that will tell your mother that she is wonderful and caring, something every mother would love to hear from their daughter on Mother Day! 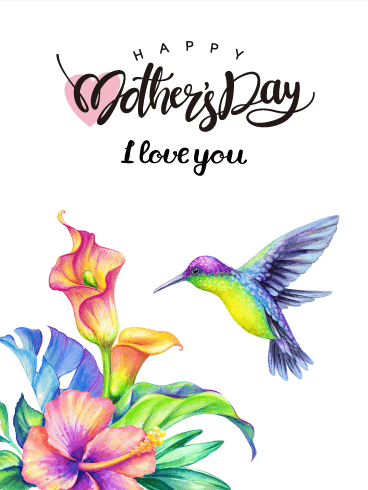 Surprise your mother with a Mother's Day card that is wonderfully illustrated with lovely flowers and an exquisite hummingbird! 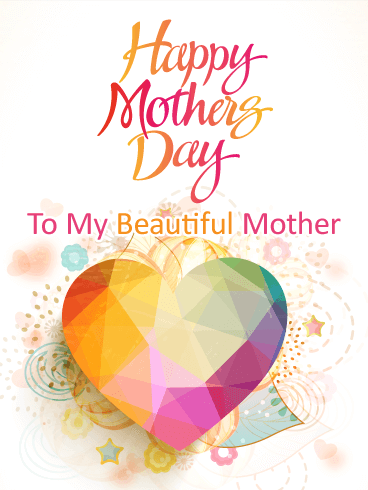 This beautiful Mother's Day card will show your mom that her daughter loves her so very much. 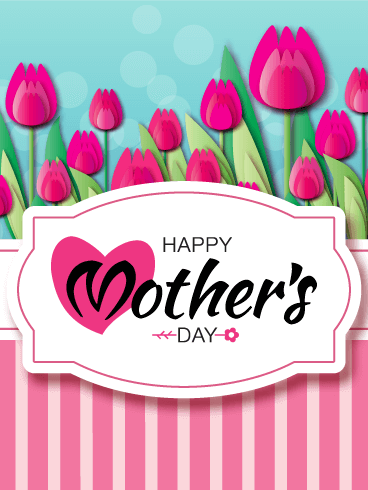 This day only arrives once a year, so sending a Mother's Day card that you know will brighten her day is a must!